N Blog (110201 1:04) – ‘Again, Masuda!’ | Where's Natsuki? Do you like these kinds of photos? It’s cute to be photographed. In the morning at four’o’clock! That’s when I got up!! 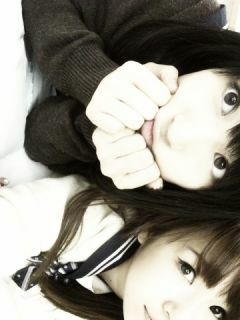 This entry was posted on Monday, January 31st, 2011 at 5:33 pm and is filed under AKB48, N Blog and 佐藤夏希. You can feed this entry. You can leave a response, or trackback from your own site.